Luis Manzano slams netizen questioning his intentions in relationship with girlfriend Jessy Mendiola. Luis Manzano slammed a basher who challenged the sincerity in his relationship with girlfriend Jessy Mendiola. This Saturday evening, January 27, Luis, 36, posted on Instagram a series of photos of himself and Jessy. 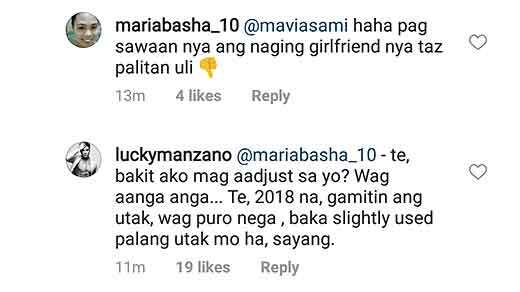 In the comments section, a netizen with the handle @mariabasha_10 posted unsavory comments directed at Luis. In her first comment, the basher challenged Luis to marry Jessy to prove that he really loves her. This angered Luis, who immediately responded to the basher.